I was going through instagram the other day, and came across a picture from my super talented friend, Amy Twitty. 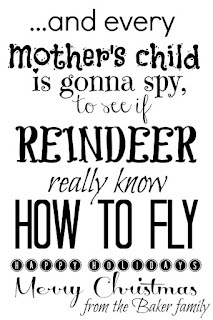 It was of her and a bunch of girl friends who made darling glitter reindeer art. I was instantly crazy about it, and went to her blog. You can see the post with instructions HERE. A few minutes later, I was in the car, on the way to Home Depot for wood. (This seems to be a pattern for me.) I started out making one for myself only, but it was so easy, that I ended up making a bunch more! All you need for this craft is wood or canvas. I used wood I got at Home Depot. It's just 12 inch by 8 foot common board (pine). It was around $13. I had the nice worker cut it down to 14inch pieces for me. They just got a new blade, so it required very little sanding. Happy Day! This will equal six 12x14 boards, and one 12x12ish board. You will not believe how easy the next part is!!! I used this coloring page, which I cropped, printed on card stock and cut out. I like that I didn't have to pay for vinyl, and I am feeling a little over the look of vinyl anyway. I cut carefully, and made sure to make nice cuts, so I could use both pieces of the silhouette. I laid one piece on top of the wood I had already painted, and traced around it with the galaxy marker I mentioned in my last post. After that, I filled in a bit with marker. I left some of them just marker, and painted over others. I like the way they both turned out.You can see on this one, I painted the board cream first. The red marker actually looks a little pink, which is fine for some people. You can see I painted over this one with red. I didn't even have to be very careful, and take it to the edges, because it blended so well. I painted the edges gray. The red I used is by Americana, and it's called, cherry red. I like that you can see the brush strokes. It is sitting on my dining room table. 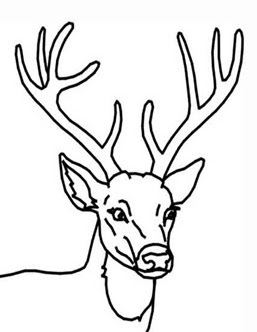 For this one, I used the inside of the silhouette, and traced around it with white, leaving the deer natural looking. Then, I went around all the edges with red, minus the deer body, and I love how it turned out! Here is the same technique, but in red. The sides are painted white. This one is my husband's favorite. I designed this little printable in pic monkey. Which I LOVE!!! I made this one tracing the outside of the stencil, and leaving the wood around natural. I can't decide which I like the best. By the way... the deer pictured below, is done on the end piece of the wood that is 12x12, so it is more square. 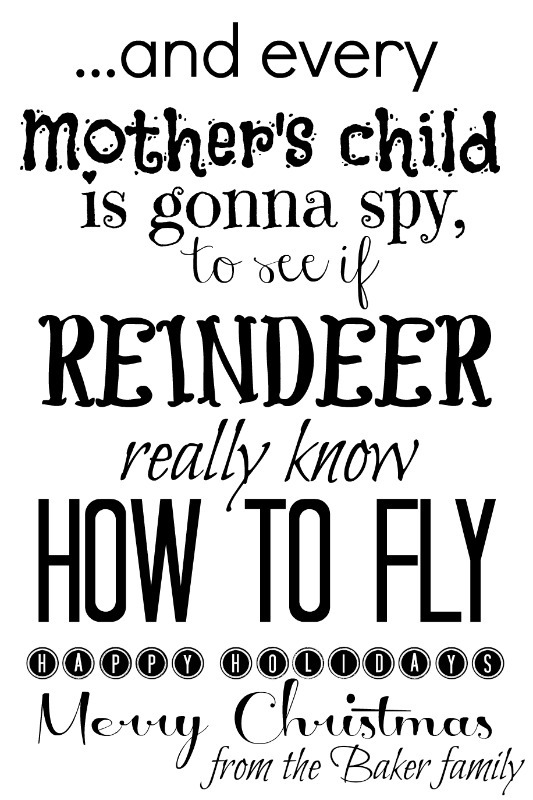 I love how cute it is all wrapped up with gray yarn and the CUTE printable. Thank you Amy for the inspiration. You rock! I think I am going to use this technique soon to make some dinosaur prints for my toddlers under-the-stairs playroom. I am already excited!!! Very Cute! Now I want to make one. But I have promised myself I would not do a bunch of Christmas projects this year. Is that chevron wrapping paper? I have the same paper.